David Clifton, Director of Clifton Davies, summarises key points from the presentation that he and Roy Ramm of ExtraYard Limited made at the Pub Goers Conference. 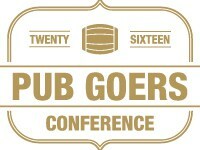 Pub & Bar magazine has reported on its successful Pub Goers Conference held on 12 October. Its 4 page report includes a review of the “Dealing with troublemakers” session presented by David Clifton, Director of Clifton Davies, together with Roy Ramm, Director of Extrayard Limited. SBC News has reported on “Future Shock – Money Laundering, Data Protection & Responsible Gambling”, the interactive workshop presented on the first day of the Betting on Sports conference by David Clifton and Suzanne Davies of Clifton Davies Consultancy and Roy Ramm of Extrayard, together with comment from Jenny Williams, former CEO of the Gambling Commission. It coincided with publication of HM Treasury’s consultation on transposition of the 4th Money Laundering Directive. The SBC News report covering both matters can be downloaded below. As mentioned at the foot of the report, in addition to providing advice on relevant licensing, regulatory and compliance matters, Clifton Davies Consultancy and Extrayard are jointly offering tailor-made workshops on the subjects of Money Laundering, Data Protection & Responsible Gambling for betting (and other gambling) operators, please get in touch for more details. ﻿Is there a more reliable person to count on in the industry when it comes to security and compliance than a former Met head honcho? 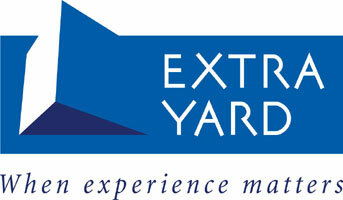 Paul Sculpher meets Extrayard Security Managing Director Roy Ramm to find out. There’s a new provider offering compliance and security consultancy services to gaming operators. The man behind the firm, Extrayard, is Roy Ramm, a familiar name to many in the industry and a man aiming to address the very real concerns apparent at present. Anyone who knows Ramm will have heard one of the colourful stories from his past, which are always incredibly entertaining and insightful in equal measure, as they shine a light on a vast array of professional experiences from a varied, glittering career. Next came decades with casinos operator London Clubs (later Caesars Entertainment UK) as governance and public affairs director, looking after security, compliance and regulatory relations for the group’s casino operations in the UK, Africa and the Middle East. Now, with Extrayard, Ramm is aiming to lean on that experience to deliver a unique support package to the wider gambling sector. Extrayard’s mission is to help operators in any sector and of any size proactively formulate policies and procedures to protect their businesses, to give them continuing confidence that they are safe and compliant, and to help minimising harm when things do go wrong. “It’s about starting it right, keeping it right and putting it right,” Ramm explains. The operational imperative is to build a successful business, offering customers great experiences. However, sometimes businesses can become so absorbed in commercial challenges that other issues like regulatory compliance and asset protection suffer. Carnage is how commentators are describing what has taken place in Westminster as a result of the vote on the 23rd in support of Britain leaving the EU. While some political careers were killed off, real carnage is what happened in Istanbul last night: the slaughter of a large number of people at one of the world’s busiest hub airports. A brutal act of terrorism that anti money laundering legislation is intended to help combat by cutting off terrorist’s money supply. But so consumed are politicians by events confined within the Westminster bubble, they seem to have collective myopia, leaving officials floundering and not moving really important legislative issues, including the 4th EU Directive on Money Laundering. In his speech last night, David Cameron said, ‘I very much hope we’ll seek the closest possible relationship in terms of trade, and cooperation and security, because that is good for us, that is good for them’. So it’s clear that the UK government – whoever leads it – will remain closely aligned with the EU on security issues and will implement AML legislation consistent with the rest of Europe. The industry has been pregnant with anticipation since the start of year. Delivery was then trapped in the referendum log jam and pushed back to the ‘second half of the year’. Now, no one in Treasury has any idea when a consultation document on a piece of legislation that needs to be in place by July 2017 might be delivered. Really! Hello! Is there anyone listening in Treasury? This is important if the industry is going to be able to prepare to play its part in preventing acts of terror like those taking place in Turkey. This legislation must not stay on the back burner while Treasury overcomes its grief. This is not just about the additional and unnecessary pressure and costs delay will put on companies. This is more important than politics, it’s about our national security. Along with the other 27 countries of the European Union, the UK is committed to implementing the 4th EU Directive on Money Laundering by July 2017 but, unlike other EU countries, the UK is in a state of legislative paralysis due entirely to the referendum on EU membership on 23rd June. In March of this year Treasury representatives said they hoped the consultation on the new UK regulations required to give force to the 4th EU Directive on AML requirements would begin around Easter. That promise was as hollow and lasted about as long as a chocolate Easter egg. Since March there has been a deafening silence from Treasury on this critically important issue for the gambling industry. Privately, officials are frustrated at the political log jam that will inevitably and violently break, putting immense pressure on officials and the industry to evolve workable UK legislative measure by the implementation deadline in July 2017. The industry, the trade associations and advisors will no doubt lobby hard but, I think, with little effect. Current concerns about terrorist financing and international organised crime mean that politicians will not want to appear weak and therefore when drafting the UK legislation the government is very unlikely to take any approach that could be characterised by the media as soft or ineffective. My advice to clients across all sectors of the industry is plan for the worst and hope for the best. For businesses outside the casino and betting sectors, the changes are likely to be less impactive and businesses assessed as having ‘proven low risk’, may escape completely. However, whilst some relatively minor derogations may be achieved – perhaps for on–course bookmakers – as a result of changes to Article 2. 1(3)f which refers to the ‘providers of gambling services’ and the absence of any reference to the word ‘chips’ in Article 11, the betting industry is very likely to soon find itself in much the same position as the casino industry. Knowing who many more of its customers are and where they get their money from will become business critical. These wider AML customer due diligence requirements will also continue to be closely linked to an increasing emphasis on the measures companies are required to implement to promote socially responsible gambling. If they need proof, I invite them to read the public statements in relation to AML issues at various major gambling companies that can be found on the Gambling Commission’s website. Just this week, the Commission found that Petfre (Gibraltar) Ltd t/a Betfred.com: did not adhere to the Money Laundering Regulations 2007, did not put into effect adequate policies and procedures intended to promote socially responsible gambling, and did not put into effect adequate policies and procedures for customer interaction with specific provision for customers designated as ‘high value’, ‘VIP’ or equivalent. Betting companies – both on the high street and on-line – that that wait for the Treasury consultation to plan for July 2017 will be putting themselves at commercial risk. My advice is to start start preparing their own process risk assessments now, examining all internal processes to determine how they can remain compliant with new regulations. They should be modelling processes to minimise the negative impact of the potential changes on customer interactions, assessing staff training needs, customer education and ensuring that relationships with service providers in relation to due diligence enquiries meet commercial needs. Operators should also be making an assessment of their technology and IT infra-structure. The Commission has already said it believes that to get a comprehensive picture of customer risk, operators should monitor customers across all the operator’s outlets, platforms and products. That means linking customer spend wagering at the counter to machine spend and to on-line spend within the same company or group of companies. The BA has said it thinks this is highly aspirational, unrealistic and expensive for its members particularly the mid – size to smaller ones. But aspiration is what the Commission is seeking! Expect the some or all of those measures to be progressed and linked to improved AML and SR compliance. There is not all downside in this, reluctant marketeers should be encouraged to see the value in the data that compliance with AML requirements will provide. I am also telling clients in groups that include businesses outside the EU to read the provisions of Article 45 very carefully. It doesn’t just bring some onerous AML requirements, it also introduces additional data protection requirements! UK regulations are likely to require companies licensed by the Gambling Commission that are part of a group to implement policies and procedures, including data protection policies and policies and procedures for sharing information within the group for AML/CFT purposes and, where they have branches or subsidiaries in third countries where the minimum AML/CFT requirements are less strict than those in the UK, to implement the UK requirements, including data protection, to the extent that the third country’s law allows. Where a country’s law does not permit the implementation of the UK policies and procedures, companies are likely to be required to ensure that there are additional measures to effectively handle the risk of money laundering or terrorist financing and to tell the the Gambling Commission what they are. If the additional measures are deemed insufficient, the Commission is likely to be required to exercise additional supervisory actions, including where necessary, requesting the group to close down its operations in the third country! Finally, some clients are asking what the impact of a Brexit vote might be? In my view none. David Clifton of Clifton Davies expressed the same view in his Licensing Expert article this month for SBC News. HMG will want to be seen to be cooperating in international measures to prevent crime and terrorist financing and will follow the EU Directive whatever the outcome of the referendum. Time is going to be short, derogations minimal and the risks of failing to prepare for full implementation are serious. Advice and support on all the issues raised in this article are available from Extrayard Limited and Clifton Davies Consultancy Limited. With ever increasing compliance responsibilities pursuant to the Gambling Commission’s LCCP and more soon to arise on implementation of the 4th Money Laundering Directive, betting operators might be forgiven for thinking that there was a limit to the extent to which even more onerous regulatory burdens could be heaped upon them in the near future. However, even greater focus on the need for them to protect customers’ personal data and to prevent data breaches will be required when the General Data Protection Regulation (“GDPR”) comes into force in mid-2018 replacing the current EU Data Protection Directive. It will be directly applicable in all EU Member States, without the need for any domestic legislation to implement it.